Dr. Rick D. Niece, the third longest serving president in University of the Ozarks history, has announced he plans to retire at the end of the 2012-2013 academic year. Niece, who was named the university’s 24th president in 1997, will step down on June 30, 2013, after 16 years of dedicated service and leadership at the helm of the Clarksville, Ark., campus. Only the presidencies of F.R. Earle (1858-1891) and Dr. Wiley Lin Hurie (1923-1949) lasted longer in the university’s 178-year history. The University has announced that its Board of Trustees has formed a search committee composed of trustees, alumni, faculty, staff and students to select Niece’s successor. The committee, which is led by trustee Chris Allen of Clarksville, will review candidates and recommend finalists to the trustees. The committee hopes to have the finalists on campus by November and a new president chosen by January. Under Niece’s leadership, the private, Presbyterian-affiliated university has seen student enrollment increase 19 percent, the endowment grow by more than 200 percent, and the number of full-time faculty increase from 28 to 48. The university has also added several new facilities, including four apartment-style residence halls, the Walker Hall teacher education and communications center, the Rogers Conference Center and the Mabee Student Fitness Center. 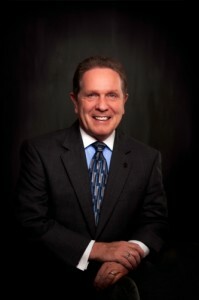 David Rawhouser, chair of the university’s Board of Trustees and a 1969 graduate of Ozarks, said the college has reached new heights under Niece’s leadership. Niece’s tenure has been defined by unparalleled fund-raising success. The University has raised nearly $140 million over the past 15 years, including the completion of two major campaigns ¬— the $60 million PRIDE & PROMISE Campaign in 2003 and the $40 million PROMISE OF EXCELLENCE Campaign in 2011. Ozarks has also been ranked as a “top-tier” campus by U.S. News & World Report for 13 consecutive years and a “Best Value” by the magazine 12 times. Other campus improvements under Niece’s leadership include new building and campus map signs, the Smith-King Plaza, new campus entryway signage on College Avenue, the Broyles Flag Plaza, First Lady Park, additional campus parking, and a $1.6 million street and drainage-improvement project with the City of Clarksville. There have also been extensive landscaping enhancements throughout campus as well as plans for a pedestrian safety area along College Avenue. Niece and his wife, First Lady Sherée, have hosted more than 40,000 students, alumni, faculty, staff and University friends in the President’s Home over the last 15 years in events that include alumni gatherings, freshmen and senior dinners, movie nights, and Super Bowl and Pumpkin Carving parties. The couple has also helped strengthen ties with the Clarksville community through such efforts as inviting weekly civic club meetings and youth sporting events to be held on campus. One of the more popular traditions started by Niece is having coffee, tea and hot chocolate available every day in the President’s Office for students and others in the campus community as well as donuts, bagels and muffins on Mondays, Fridays and during finals week. A native of Ohio, Niece served as interim president at Walsh University in Ohio before coming to Ozarks. He earned his undergraduate degree from Ohio State University and his master’s degree and Ph.D. from Kent State University. Niece has been named International Assembly for Collegiate Business Education Educator of the Year (2005), Chief Executive of the Year by the Council for Advancement and Support of Education (CASE) for District IV (2003), National Most Supportive President award from Students in Free Enterprise (2003) and Arkansas Non-Profit Executive of the Year by the Arkansas Business publishing group (2002). He is a director on the Walton Family Charitable Support Foundation and is a former board member of the National Association of Independent Colleges and Universities and the Association of Presbyterian Colleges and Universities. He has authored two books, Side-Yard Superhero, released in 2011, and The Band Plays On, which will be released this summer.